In Singapore, a Bus interchange or Bus terminal is a public transport facility that functions as the start and end point of any bus route. This definition can be extended to any layover point that does not cause an obstruction to traffic. There are currently 26 bus interchanges and 19 bus terminals in operation. Bus interchanges and termini serve multiple roles in Singapore. They are used as layover points for various bus services, and regionalization of bus terminating points allow for easy transfer between multiple bus services. Drivers may also swap buses at termini. 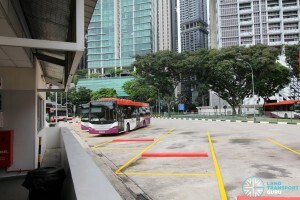 A Bus interchange (referred to as a Bus station outside of Singapore) is a large facility handling many bus routes and usually offers connections to the Mass Rapid Transit (MRT) network. 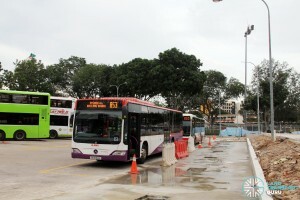 As such, they are an integral part of Singapore’s hub-and-spoke public transportation system, where commuters frequently rely on buses for ‘last-mile’ connections from Town Centres to their homes. A Bus Terminal is a smaller facility used as a regional terminating point for bus services. While the majority are dedicated facilities, there are a handful of ‘roadside’ bus terminals with minimal infrastructure. Some bus terminals do not allow for passenger boarding and alighting. For a full list of bus terminals served by Malaysian bus operators, check out Other Bus Terminals In Johor Bahru. In the late seventies, the construction of new towns resulted in the idea of regional bus interchanges to take over the roles of the bus terminals. This would improve efficiency and reduce overlapping of bus routes. 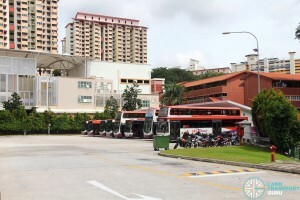 In 1978, the Jurong Bus Interchange became Singapore’s first bus interchange. The early bus interchanges were mainly shared by the SBS, TIBS, SSB and Scheme B bus operators. 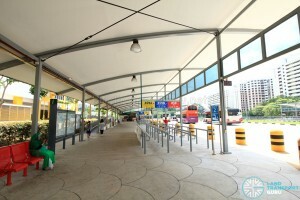 Until the completion of the Woodlands Bus Interchange in 1996 by the Mass Rapid Transit Corporation (MRTC), all the early bus interchanges were designed and built by the Housing and Development Board (HDB), which was also the main architect of bus stops and other facilities for the public transport. 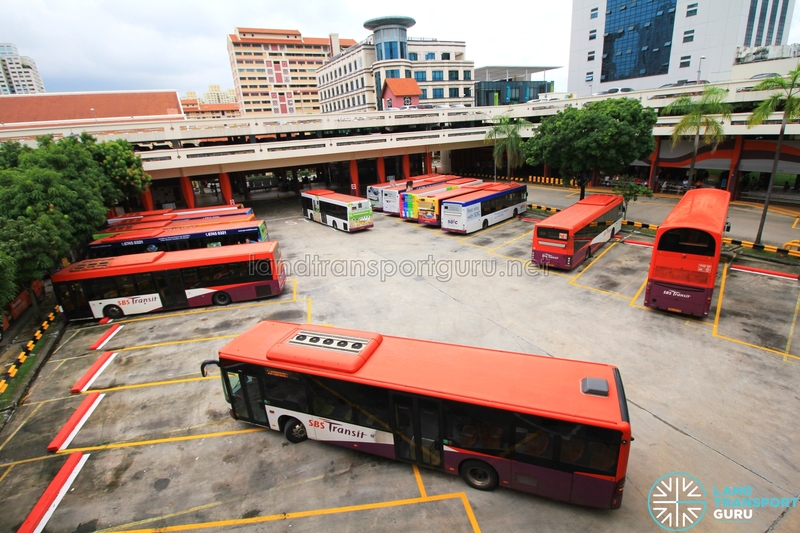 With the construction of the MRT in the 1980s, bus transport in Singapore slowly adapted in favour of centralised bus interchanges that provide connections to the MRT, and the use of multiple feeder bus services to link up different parts of new towns with MRT stations. Also in 1983, the Government and its statutory boards took over five bus interchanges and more than 50 roadside termini from SBS. In the modern era, bus interchanges were further redesigned to provide greater comfort and integration. 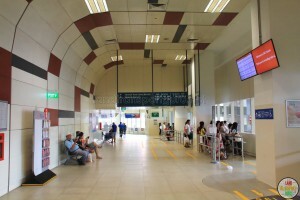 Toa Payoh and Sengkang Bus Interchanges were among the first to be fully air-conditioned and fully integrated with their basement MRT stations. 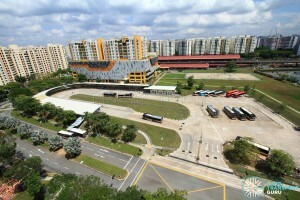 Sengkang Interchange was also the first to integrate residential development with bus interchanges by the use of fully enclosed bus interchanges, i.e. the entire interchange occupies the ground floors of the building, a concept previously used extensively in land-starved Hong Kong. Integrated Public Transport Hubs have been built at Ang Mo Kio, Bedok, Serangoon, Boon Lay, Clementi and Joo Koon, and more are expected to be completed in the next decade, such as Bukit Panjang, Hougang, Jurong East, Marina South and Yishun. Today, bus interchanges are designed and constructed by the Land Transport Authority (LTA), but are managed by the bus operator which operates the majority of bus services from the interchange (and with the rollout of the Bus Contracting Model, bus interchanges/terminals are allocated to bus operators). Some bus terminals do not allow for passenger boarding and alighting. 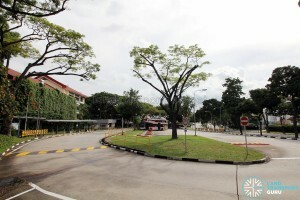 In the early 2010s, bus interchanges have been used for overnight parking of buses due to lack of parking space within bus depots, but the practice has been curtailed with the construction of more bus parks. Staffed by TransitLink personnel, this office mainly handles contactless card transactions among other services. Where bus drivers take a break before their next departure. Berths are pick-up areas for buses. Most major interchanges have three services assigned to a berth, with queuing areas for passengers. This electronic bus arrival board contains timings of the next scheduled bus departure. Which ones do that (even if there are any)? I’m sure that most (if not all) don’t. Oh wow I’m quite surprised. Thanks though. The Upcoming Bus Interchanges & Terminals section should include Woodlands North Integrated Transport Hub. 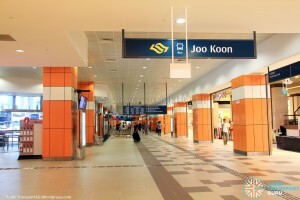 It was mentioned in the URA website (under the Master Plan section) that “an integrated transport hub at the heart of the Woodlands North Coast will house offices, shops and restaurants above a bus interchange and connect underground to the Woodlands North MRT Station and cross-border rail link to Johor”.